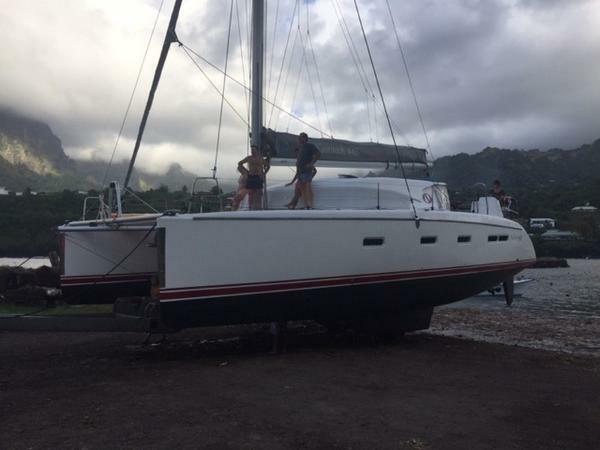 The Nautitech boat yard is known for performance and comfort, with the Nautitech 442 the best seller of the fleet. 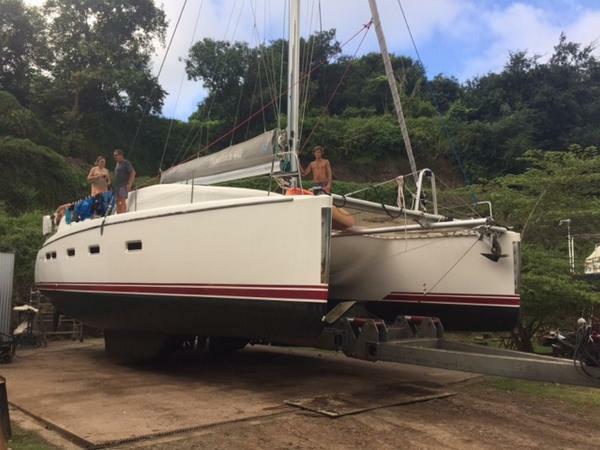 Set-up with a wheel on port and on starboard there is good visibility of both hulls and the cockpit is freed up giving more space. 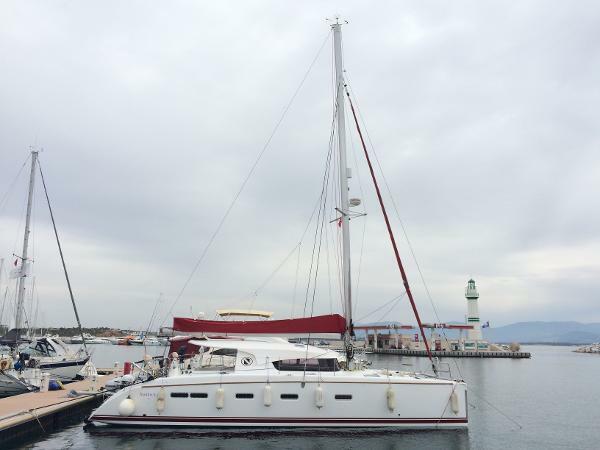 Quoi de Neuf is a 2011 build in owner’s version and particularly well maintained, in almost new condition. 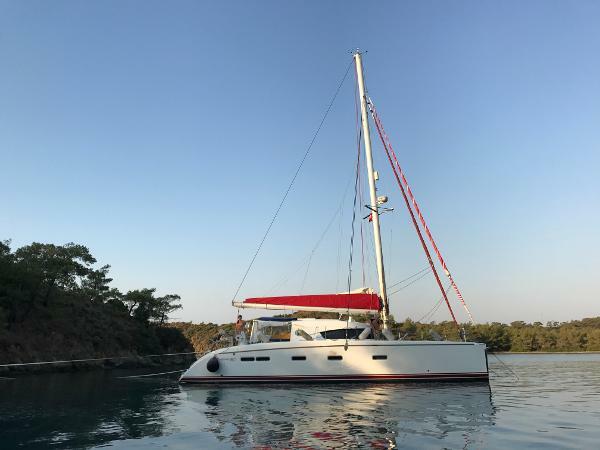 She’s fully equipped for cruising and comfort: generator, washing machine, 440W of solar panels, new 880Ah of battery capacity. The sails are 5 years old in good condition, the electronics are Raymarine 70 series with c90 plotter. 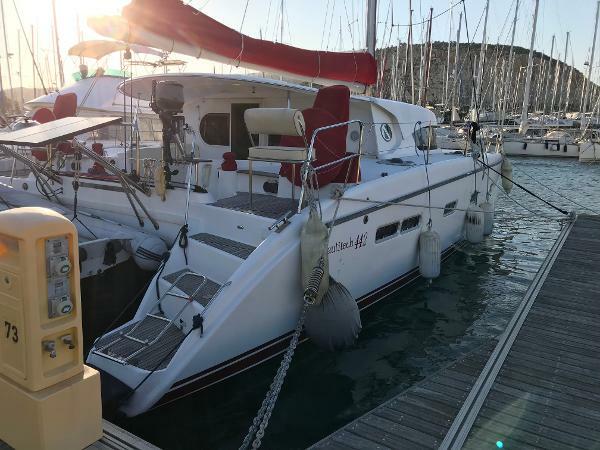 The interior is exceptionally well maintained, as is expected for a boat with only 1 previous owner. The quality of Quoi de Neuf justifies the price. 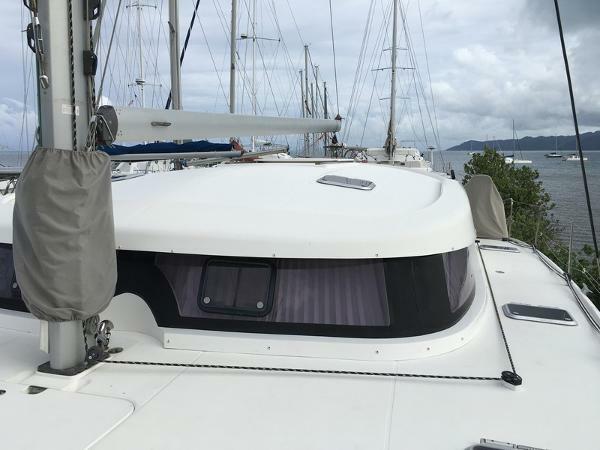 2010 Nautitech 442, 3-cabin owner version - incredible value, great spec - recent model.